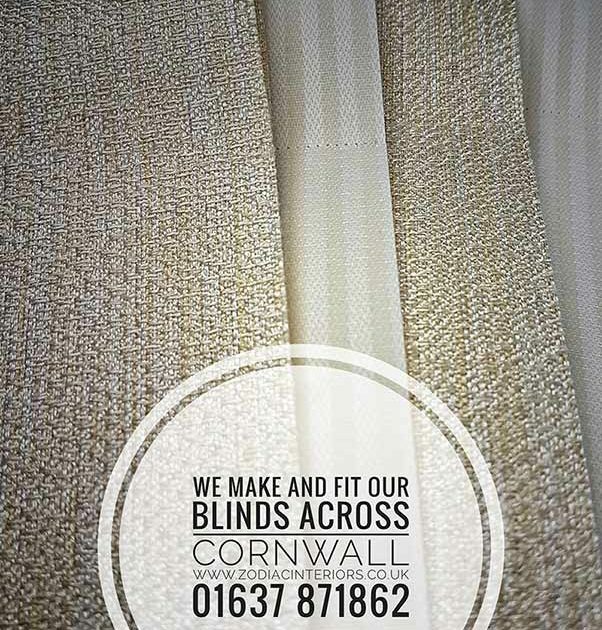 Are you thinking of fitting blinds to your windows in Cornwall ? Fitting blinds to your windows may be the perfect solution for your shading, heat and light control requirements. Here are some questions and answers as to why blinds might be the right thing to cover your windows …. Can blinds really help to conserve energy? Yes, absolutely. Independent tests confirm that you can save up to 16% of your household energy bills by fitting energy efficient window blinds in your home. Perfect Fit roller and Perfect Fit cellular blinds come out top of the list with fabrics such as Chenille, Shot Silk, Montana, Organza ESP and Nova cellular being the most efficient. I have very large windows, do you have blinds to suit large windows? 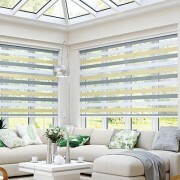 Vertical blinds are an excellent choice for very wide patio doors/windows since they can be made up to 5 metres wide. If you’re considering a more contemporary feel, then panel blinds can create a really stylish effect with their multiple, stylish fabric panels. My conservatory gets too hot in the Summer…what do you suggest? Perfect Fit pleated blinds in the roof and sides of your conservatory will reduce heat build up in summer and also keep it warmer in winter. Perfect Fit can be installed quickly and easily because it’s clipped into place without drilling or screwing any holes. 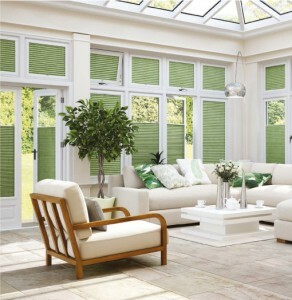 Choose an SPC fabric such as Inspirations SPC that will reflect more light away from the conservatory. You could also fit pleated blinds in the roof and roller blinds in the sides in matching fabrics. What window blinds are suitable for a kitchen or bathroom ? For your kitchen we would suggest a moisture resistant fabric such as Carnival. Carnival is also an anti-microbial material that has obvious benefits in an area where food is prepared. Carnival is available in 36 sensational colours as roller, vertical, roman and pleated blinds. For the bathroom, Ex-Lite would be ideal. Available in ten popular colours, this is a plain, PVC fabric that repels moisture so is a good choice for both kitchens and bathrooms. If you want to be a little more daring then the bold design of Bloom will brighten up your bathroom and it has the same moisture repellent properties of Ex-Lite. All that glitters is not just gold…. 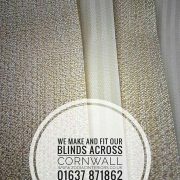 Our new Zephur vertical blinds fabric in gold is a joy to work with and look at. An opulent translucent vertical blind fabric, it filters light and damaging UV rays, and provides shade and privacy when needed. Shown here is also our Regency fabric which has high class pinstripe detail and thermal efficiency properties. 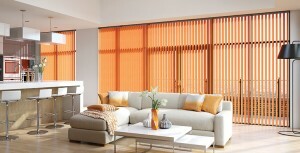 Zephur vertical blinds really are a touch of class. 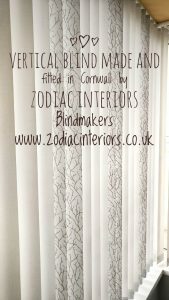 Email sales@zodiacinteriors.co.uk or message us via our Facebook page here.